Today there are over 1,245,000 licensed lawyers in the United States. With more and more attorneys graduating from law school each year, competition has become brutal for jobs in both the private and public sector. As a result, many recent law school graduates have begun to “think outside the box,” pursuing non-traditional legal careers. In this guide we’ll discuss traditional and non-traditional career paths for recent law school graduates. We’ll address career requirements, pros and cons of different careers, personality traits that fit best with certain jobs, average salaries, and more. Continue reading to determine which legal career is best suited to you. You can expect to receive a substantial paycheck within a couple of weeks of starting. First-year associate salaries at large law firms earn between $70,250 – $125,000, and sometimes higher. Staring your own practice right out of law school has substantial costs. Renting an office, hiring a secretary, paying for access to legal research, and other costs can be oppressive. In a large law firm, you’ll have access to office support and other tools of the trade, and you won’t have to worry about paying for them. Having experienced lawyers a few feet away can be a great benefit to a new associate. Relying on colleagues’ advice and counsel will speed up your learning curve. To learn about mentoring programs in some large law firms visit the National Legal Mentoring Consortium. As a newly hired lawyer you will likely begin your career as an “junior associate.” From there you can advance to a senior associate position, junior partner, and eventually a partner. Of course, along with advancement comes increasing income. Working 50 to 80 (or more) hours per week is common for new associates. If you don’t plan to work incredibly long and hard hours, a large firm may not be the best spot for you. According to a study at Yale University, firms “average” stated annual billables typically range between 1700 and 2300, although informal networks often quote much higher numbers. While your family and friends may consider your new Juris Doctorate degree a major achievement, the partners, associates, and even the secretarial staff may see you as nothing more than a green employee, whose first duty is to make coffee each morning. When looking to hire new associates, large firms have hundreds of recent law school graduates to choose from. Those hired are mostly competitive Type A personalities who will do anything necessary to move up the food chain, even if it means climbing over you along the way. The road to partnership in a law firm, especially a large one, can take many years. Different law firms have their own requirements for advancement, including bringing in new clients, consistently working longer hours and billing more hours than other associates, being creative in legal applications, or just gaining the favor of one or more partners. It’s rare in large firms for a new associate to have direct contact with a client. As an associate, the only contact you’ll likely have with an existing client is sitting behind senior associates and partners at depositions. It can take months, and in some cases, years before you will be trusted to deal directly with an existing client. As a new associate you can expect to do everything, including proofing other lawyers’ work, writing briefs in their names, preparing memorandums of law (which won’t be part of your billable hours), and other tasks for which you will receive little credit or recognition. The average salary for first-year associates in large law firms can range from $70,250 – $132,000, and sometimes higher. Mid-sized law firms consist of anywhere from 10 to 50 lawyers. Mid-size firms often emerge when junior partners or even partners at a large law firm decide to break away and form their own practice. In many cases, these firms act as “Boutique” firms. These firms normally specialize in one or two areas of the law. The big attraction to working at a boutique firm is greater personal attention to clients. Staring your own practice right out of law school has substantial costs. Similar to large law firms, in a mid-size or boutique firm you will have access to office support staff and other tools you’ll need to do your job. Having experienced lawyers to review your work and show you the ropes is a huge benefit. In mid-size firms, it’s easier for new associates to have contact with partners and more experienced associates. Getting coached by senior associates and partners will make you a better lawyer, quicker. Because there are less staff, new associates are often given more responsibilities, which will help expand your knowledge base. Moreover, due to the smaller size of the firm, associates can expect to have greater client contact. With fewer available lawyers in the firm, depending on the number of clients, newly hired associates have a better chance of moving up the chain faster than at a large law firm. As a new associate at a mid-size firm, you may not have to bill as many hours to clients. But despite billing fewer hours, because there are fewer lawyers, you may still have greater access to clients, albeit only at the behest of a partner. The average salary for first-year associates in mid-sized law firms is between $73,500 – $102,000. A small firm can consist of anywhere from 2 to 25 lawyers, or a few more. Smaller law firms tend to practice in very specific areas of the law, but frequently offer legal services in related areas of the law. Working at a smaller law firm affords you benefits ranging from lower billable hour requirements, to helping clients early in your career (rather than working in the background doing research while the partners take the credit). The average salary for newly hired associates at small law firms is $50,250 – $73,500. If you’re considering seeking an associate’s position at a large, medium, or small law firm you must be able to follow orders, in some cases spending long hours away from your family. At some point you will likely have to work for lawyers and staff you dislike, and be prepared to wait many years before making partner. You must also have excellent interpersonal skills to deal with other associates, partners, and even the clerical staff. If these are traits you don’t feel you have, then you may want to explore a different type of career in the legal field. Starting your own law practice can be exciting, challenging, financially rewarding, and yet fraught with obstacles. It’s always a risk to open your own firm. Some of the brightest graduates from law school often fail when opening their own law firm. And yet, there are some who succeed. If you’re thinking about starting your own practice right out of law school, you must think like an entrepreneur first, and a lawyer second. This is especially true if you’re relying on a bank or small business loan to get your practice off the ground. Banks don’t care about your grades in law school. They care about making money. If you’re relying on a bank or small business loan, or money from friends and relatives, you will be under extreme pressure to succeed. The main advantages of solo practice are freedom and independence. However, if you choose to go into solo practice, you should be prepared for a few lean years of modest earnings. If you can manage to get through the first couple of years, you should be on your way to a successful practice. Instead of applying to law firms all over the city, you can begin your legal career as soon as you have your state bar license. Unlike working for a large or mid-size firm, where there is little sympathy for your having to miss your daughter’s pee wee soccer game or your wife’s lamaze class, in a solo firm you can arrange your work schedule to live a fuller and more balanced life. You can’t blame anyone else for missing a client appointment, a court appearance, or for not making the rent payment on time. It’s all on you. In most cases, as a solo practitioner you must be prepared to make less money than your counterparts at a mid-to-large size firm. That may change a few years down the road, but be prepared to scrimp and save for the first several years you’re in business. As a solo practitioner, you won’t be able to walk a few doors down and ask a partner for advice on a case you’re working on. You are indeed “solo.” Of course, there’s always the telephone where you can call your lawyer friends, but if they’re working in large or mid-size law firms, don’t expect too much of their time. Loneliness is a part of practicing by yourself. In a solo practice, you will have much less contact with other people than you might at a small, medium, or large firm. If you can’t afford a secretary at first, you may spend 8 to 10 hours a day alone. That can play havoc with those of us who do better in a more social atmosphere. The median salary for a solo practitioner 1-4 years out of law school is about $50,000. To be a successful solo law practitioner begins with a business plan. This is a process of researching and thinking about your law practice in a systematic way. Planning helps you think things through. It includes setting goals and your strategy to achieve them. This can include a plan to obtain clients, financing, marketing, hiring staff, buying law books, and more. You must be able to keep the doors to your law office open for at least six months with little income. To do so, you will need either substantial savings, or a loan from the bank or someone else who trusts you enough to invest in your future. You will need a desk, computer, document scanner/printer, and other standard office supplies. Having your own office and secretary is helpful, but if you’re starting your firm on a shoestring, you can always work out of your home, a friend’s conference room, or even a Starbucks. There are also “executive offices.” These are offices manned by a receptionist where you can rent an office or cubicle for months, weeks, days, or even hours. There you can meet with prospective and existing clients. These are akin to coworking spaces. You must have excellent marketing and interpersonal skills. You can graduate first in your class, but if you can’t effectively market yourself and communicate with prospective clients, you’ll be sitting at your desk wondering how you’re going to pay next month’s rent. If you’re going to start your own practice right out of law school you must be highly motivated and willing to work long hours. You must have an outgoing personality, willing to advertise and sell yourself, be a risk taker, have a very understanding spouse or significant other, and be willing to work alone. In many cases, to keep the doors open, new lawyers starting their own firms must be willing to accept all sorts of cases, ranging from traffic tickets, to personal injury, family law, bankruptcy, and anything else that will produce immediate income. Large companies often have in-house legal departments consisting of a number lawyers who specialize in specific legal issues. Many in-house attorneys come from bigger law firms, when substantial clients “poach” lawyers away to join their company full-time. In-house lawyers specialize in laws specifically related to their corporate clients. They work closely with their clients to ensure business risks are minimized and the business conforms to state and federal laws and regulations. As an in-house lawyer, you won’t have to worry about billing as many hours as possible. It’s all about the results, and not the time it takes to achieve the results. You won’t have to worry about the costs of secretaries, office rent, copy machines, state bar fees, etc. In most cases, whatever you need to better serve your client will be made available to you. Westlaw and other legal research tools will likely be made available to you. The cost of continuing legal education (CLE), including costs of travel to seminars, will be paid for you. In-house counsel are often offered salary benefits and stock options in the company. If you land a job at a successful and growing company, those stock options may turn out to be worth a substantial amount over time. As long as you are fulfilling your duties as in-house counsel, scheduling your work week will be up to you. You can work as many hours as it takes to supply the legal information your corporate client needs. As in-house counsel you may have to report to several corporate superiors. Some will heed your legal advice while others may not. Some may like you, while others won’t. Dealing with multiple egos and personalities can be a juggling act. You’ll have to do everything you can to keep the balls from falling. You will have a boss who will conduct your personal evaluation. Your success or lack thereof may depend on whether or not the boss likes you. This can be especially difficult if your boss hasn’t valued your legal advice, or thinks he or she is smarter than you. That’s not unusual when dealing with corporate client superiors. To stay in the good graces of your superiors may require you to conform your legal advice to their objectives. If you disagree too many times, you may quickly find yourself out of a job. Unless you have a written contract of employment, you can be fired at any time. This can be oppressive and result in a great deal of stress, especially if you have a family, mortgage, and monthly bills to pay. Unlike working in a law firm or even as a solo practitioner, where you’ll deal with multiple clients and their varying needs, as in-house counsel you will have only one client – the corporation. That means all your energy must be focused on your one single client. In-house corporate lawyers with one-to-three years’ experience are expected to make between $77,500 and $124,500. The nation’s court dockets are overburdened. Judges have heavy caseloads and work long hours to resolve as many cases as possible. Even so, in most states it can take a year or more for a case to finally come to trial. To help resolve lawsuits, most states now require parties to submit to Arbitration, also called Alternative Dispute Resolution. Each state has its own requirements to become an arbitrator. Prospective arbitrators normally have at least ten years of experience in a related field. For example, to be an arbitrator in divorce proceedings, an arbitrator will likely have already practiced family law for at least ten years. The average salary for arbitrators is about $75,000 annually. Mediation is another form of Alternative Dispute Resolution. Mediation’s purpose is to facilitate disputes between parties. Often a successful meditation will obviate the need for a lawsuit. In some cases, mediation occurs after a lawsuit has been filed. Often the presiding judge will order the parties to attempt to mediate their dispute before the case comes to trial. A mediator’s job is to provide direction and encouragement to the parties, often finding creative ways to resolve the dispute. Mediators and arbitrators are similar in that both attempt to bring the parties together to facilitate and ultimately resolve their dispute. But that’s where the similarity ends. An arbitrator serves as a “judge.” If the parties can’t resolve their dispute through arbitration, the arbitrator steps in and resolves the dispute for them. In most cases arbitration is “binding” meaning the arbitrator’s decision is final and can’t be appealed. A mediator cannot decide and ultimately resolve the dispute. If mediation fails, both parties may decide to continue on with their lawsuit. Even then, before the case comes to trial, a judge may order the parties to submit to binding arbitration. Settle procedural matters including when the parties may present evidence to support their position, the number of witnesses and the relevancy of their testimony, etc. The average salary for mediators is $75,000. Both arbitrators and mediators must possess excellent communication and negotiation skills, problem solving and analytical abilities, combined with an ability to be creative and think “outside the box.” They must also understand the industry terms and issues related to the area in which they work. While a successful mediator or arbitrator may see the solution soon after beginning, the parties may not be so quickly persuaded. If patience with people is not one of your strengths, then mediation or arbitration may not be for you. A good mediator or arbitrator can quickly adapt his or her personality, demeanor, and vocabulary to fit the circumstances and personalities of the parties. Remember, you won’t always be working with people who are like you. Some parties may have less education and communication ability than you’re used to. Interpersonal skills are required to deal with disputing parties’ varying personalities. A successful mediator or arbitrator must be good enough with people to keep the parties calm and focused in resolving their dispute. Writing skills are paramount. A good mediator or arbitrator may able to successfully resolve a dispute, but if they can’t effectively reduce the agreement to writing, the parties may not understand what they did and didn’t agree to. It’s fair to say most mediators and arbitrators are attorneys and former judges. However, in many states they are not required to have a law degree. Instead, they must have substantial knowledge and experience in the field in which they will be working. Recent graduates may consider working for the government. This includes federal, state, county, city and village agencies. Beginning your legal career as a prosecutor can be very rewarding. The best aspect of starting out as a prosecutor is you get immediate trial experience. Unlike other attorneys who may begin their career behind a desk at a law firm, a newly hired prosecutor is quickly thrown into the fray, trying cases against suspected criminals. As a new prosecutor, you’ll be trying misdemeanor cases such as traffic tickets, DUIs, and other non-violent crimes. Moving up the ladder, you’ll be invloved in more serious cases, ranging from aggravated assaults to murder. Working as a prosecutor is best suited for recent law school graduates who want immediate trial experience. If you are thinking about being a prosecutor, you must enjoy being in front of a jury trying cases. If you are more introverted and would rather deal with contract, taxation, estate or other civil law, then being a prosecutor is probably not for you. Depending on tenure, the average salary for prosecutors is between $40,574 – $113,155. Public defenders are a special breed. They take on some of the most difficult cases. If the police arrested a suspect and the prosecutor’s office accepts the case, there is usually ample evidence of the suspected criminal’s guilt. As a result, public defenders must get used to losing trials, or cutting deals with prosecutors. For a public defender, winning a case at trial is rare. To maintain sanity and morale, a public defender must be able to live with representing suspected criminals, and losing most of their cases. The median salary for public defenders is $45,000. 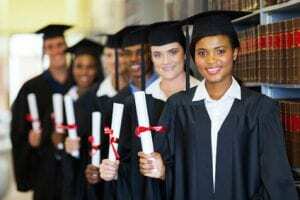 There are a number of law enforcement agencies where having a law degree can be a great benefit. Below are the primary U.S. government law enforcement agencies, along with information to help you decide if a law enforcement career is right for you. The career of an Alcohol Tobacco and Firearms agent is unique and one of the most challenging in federal law enforcement. Headquartered in Washington, DC, the ATF has field offices throughout the United States and its territories. Highly trained special agents are responsible for investigating violations of federal laws relating to firearms, explosives, arson, and alcohol and tobacco diversion. These investigations involve surveillance, interviewing suspects and witnesses, making arrests, obtaining and executing search warrants, and searching for physical evidence. ATF starting salary is $34,000. The Drug Enforcement Administration enforces controlled substances laws and regulations of the United States. A DEA agent is empowered to investigate and remand for prosecution those who illegally grow, manufacture, or distribute controlled substances that appear in, or are destined for, the United States. DEA agents staring salary is approximately $49,000. The FBI’s investigative authority is the broadest of all federal law enforcement agencies. The FBI has divided its investigations into a number of programs, such as domestic and international terrorism, foreign counterintelligence, cyber crimes, public corruption, civil rights, organized crime/drugs, white-collar crime, violent crimes and major offenders, and applicant matters. The FBI’s investigative philosophy emphasizes close relations and information sharing with other federal, state, local, and international law enforcement and intelligence agencies. A significant number of FBI investigations are conducted in concert with other law enforcement agencies or as part of joint task forces. An FBI agent’s starting salary is $63,000. The Central Intelligence Agency’s primary mission is to collect, evaluate, and disseminate foreign intelligence to assist the president and senior US government policymakers in making decisions relating to national security. The CIA does not make policy. It is an independent source of foreign intelligence information for those who do make national policy, including the Secretary of State and Homeland Security, the National Security Agency, and the President and Vice President. The CIA may also engage in covert action at the president’s direction, in accordance with applicable law. A CIA officer’s beginning salary is $75,000. A law enforcement officer must be completely honest, despite peer pressure, fear of reprimand or demotion, or other pressure. As a law enforcement officer, your statement alone can result in someone’s conviction and incarceration. You must be comfortable in a leadership position. You must be able to step in and lead fellow law enforcement personnel, especially in critical and dangerous situations. If you’re not comfortable making leadership decisions, then a career in law enforcement is probably not for you. As a law enforcement officer, you may be confronted with persons who disrespect you and the law enforcement agency your work for. These people may verbally abuse you or your partners. You must be able to tolerate and compartmentalize that disrespect and abuse. If you don’t have a high tolerance for such things, then law enforcement is probably not for you. The Judge Advocate General’s Corps (JAG) operates like a court system. Its lawyers are referred to as Judge Advocates, and are licensed attorneys qualified to represent the military and its soldiers in military legal matters. They operate in all branches of the armed forces, including the Army, Navy, Marines, Air Force, and Coast Guard. While many Judge Advocates represent soldiers during courts-martial, they also represent soldiers and the military in other legal actions, including civil litigation, tort claims, labor law, and international law. Judge Advocates serve as full-time legal practitioners on active duty, or as part-time practitioners in the Military Reserve. Duty locations include the United States, and military bases and installations worldwide, including Germany, Korea, Japan, and Italy. While each branch of the U.S. Military Service has its own starting salary, the average is between $35,200 and $45,200. Keep in mind these are base pay numbers, and judge advocates are typically promoted within their first year. Whether it’s teaching pre-law courses in colleges and universities, or teaching at law schools, having a Juris Doctor degree can help open the door to a career in academia. Teaching jobs are difficult to come by however, and competition is fierce. Great grades in law school are required to obtain a teaching position at a well-know college, university, or law school. High grades can also be an invitation to the Order of the Coif. Being on the law review is a step in the right direction. This is a student run journal at your school focusing on legal issues. The Order of the Coif is an honorary scholastic society that encourages excellence in legal education by fostering a spirit of careful study, recognizing those who attained a high grade of scholarship, and honoring those who as lawyers, judges and teachers attained high distinction for their scholarly or professional accomplishments. Clerking for a U.S. District Court Judge, Appellate Judge, or State or Federal Superior Court Judge is another activity that can help you secure a teaching job. You will be more attractive as a candidate if you have an advanced degree, including a Masters, L.L.M. or PhD degree in an ancillary field related to law, such as history, economics, philosophy, sociology, or political science. Publishing scholarly treatises in areas of the law while you were in law school and after you graduate can show you would be a contributing member of the teaching staff. Salaries for teacher positions for recent graduates varies greatly. It can depend on the type of school, the area of the country, and the student population. If you are fast approaching graduation, or are a recent law school graduate who hasn’t yet decided which career path to follow, take some time to be introspective. Think about which career will best suit your personality and lifestyle. Any job you’re offered as a new graduate may sound exciting, but if it isn’t for you, you’ll end up miserable. Take some time to examine the various careers available to you. While we covered a good number of careers in this article, our list is not exclusive. There are additional satisfying career paths out there. You just have to look for them. While doing your research, keep in mind your capabilities and limitations. You have a long legal career ahead of you. Choosing the right path can be the difference between a satisfying career, and one you come to regret. Remember, it’s not always about the money. It’s about happiness and fulfillment. It’s about getting up each morning looking forward to a satisfying day.